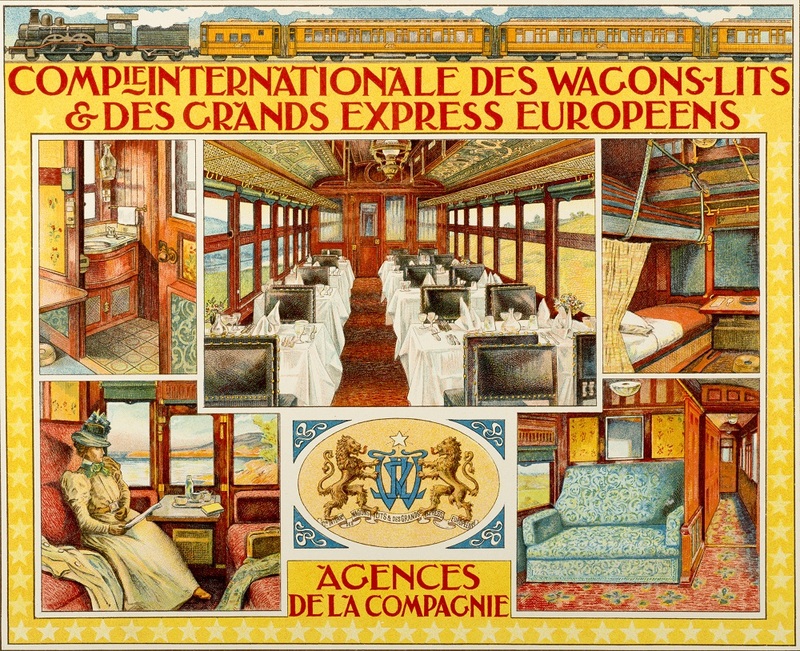 Advertisement for Compagnie Internationale des Wagons-Lits et des Grands Express Européens’ [International Company for Wagon-Lits and Grand European Expresses] agencies. During the first half of the 19th century, few travelers put themselves in danger and opted for the land route to get from Western Europe to Constantinople. 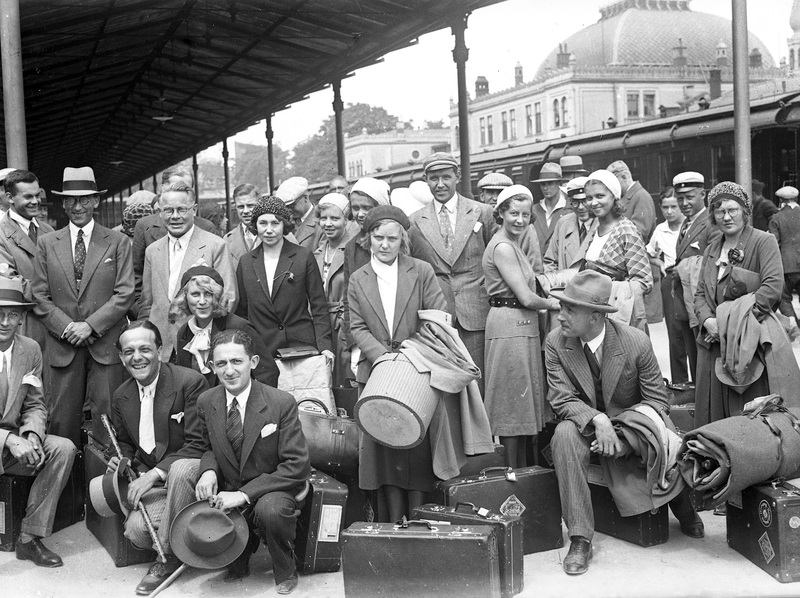 Neither physical and human geography, nor political conditions were favorable for traveling across the Balkans. 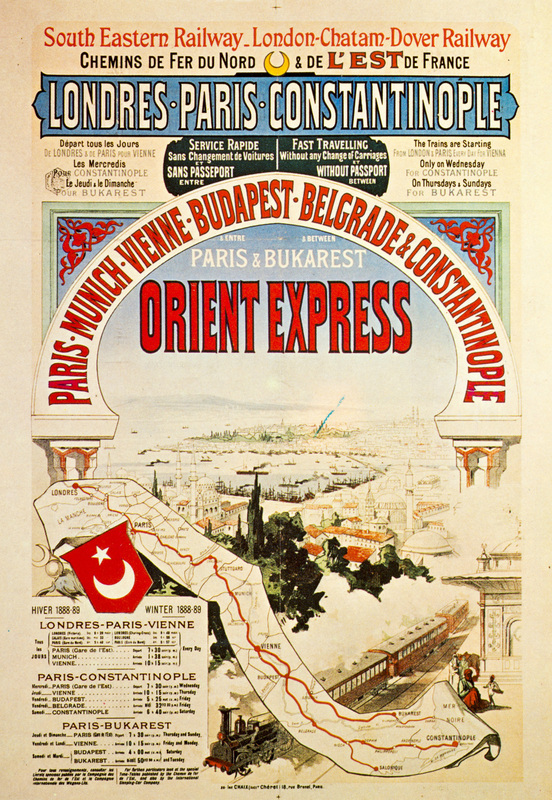 But in 1889, the Orient-Express connecting Paris to İstanbul without interruption brought an increasing number of travelers to Sirkeci Train Station. Passengers at Sirkeci Train Station. The acceleration of transport (67 hours and 35 minutes from Paris to Constantinople with the Orient-Express in 1889) led to a shortening of the stay, as traveling on the “railway palace” was just as important as the destination. While the average length of stay at the Ottoman capital was three months during Gérard de Nerval’s time, three days were now enough. First poster for the Orient-Express made by the French painter and lithograph Jules Chéret, master of Belle Époque poster art. Adventures of all kinds, as well as the confined space of the cars thus inspire cartoonists, singers, and show organizers (including Oscar Sachs). 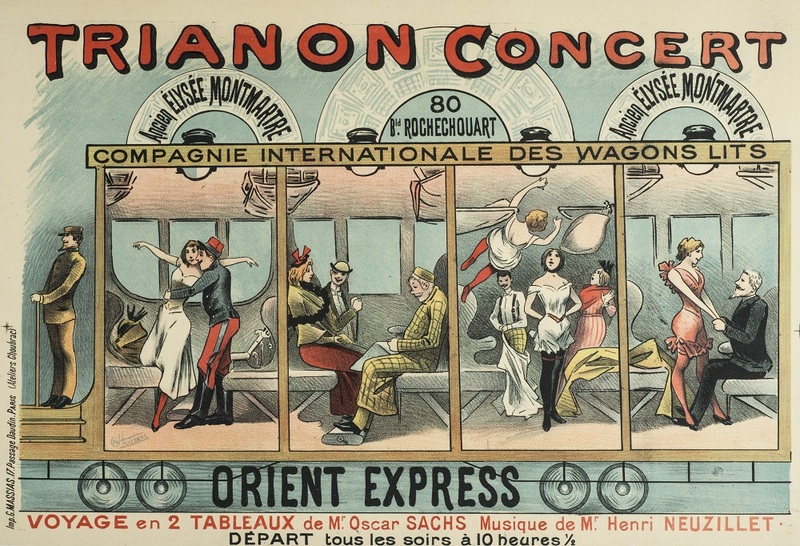 Advertisement for the Orient Express show that was held at the Trianon Concert. A suitable setting for romantic and detective stories, the Orient-Express stirs the imagination of many novelists and filmmakers, including Maurice Dekobra with La Madone des Sleepings (a bestseller that centers on the fashion of cosmopolitan snobbery in traveling aboard sleeping cars), the Agatha Christie mystery, Murder on the Orient Express, made into a feature film by Sidney Lumet, Graham Green with Stamboul Train, and Terrance Young with the second film of the consecutive James Bond adventures, From Russia with Love. Part from the film Murder on the Orient-Express. This blog post is compiled from the articles “Jean-Michel Belorgey – Istanbul by Train” and “Catherine Pinguet – Journey to Istanbul” in “Journey to the Center of the East 1850 – 1950” exhibition catalogue .